An organization that conserves and manages fish stocks in federal waters off the southern Atlantic coast is seeking applicants for advisory panels and a workgroup. The South Atlantic Fishery Management Council is a partner of the Coastal Resources Division of the Georgia Department of Natural Resources and makes recommendations about fishery management plans for federal waters up to 200 miles offshore of Georgia, east Florida and the Carolinas. Advisory panel members play an important role in federal fishery management by providing information and making recommendations at the grassroots level. The panels advise the council about trends in fisheries, environmental concerns and the impact of management on fisheries and fishing communities. 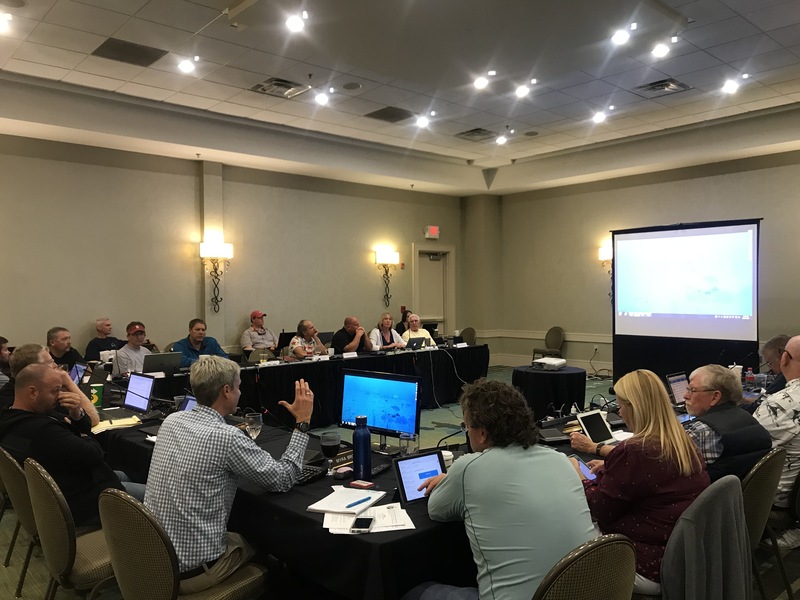 The advisory panels are the “boots on the ground” and inform the council, which makes recommendations to the U.S. Department of Commerce about fishery-management policy in federal waters off each member state. The council includes 13 voting members and four nonvoting members appointed by the U.S. Secretary of Commerce from lists approved by each member-state’s governor. The Secretary of Commerce has ultimate authority to make decisions about federal marine fisheries. One seat is currently open to Georgia residents on each of the following panels: Dolphin Wahoo Advisory Panel, Habitat Advisory Panel, Law Enforcement Advisory Panel, Mackerel Cobia Advisory Panel, Deepwater Shrimp Advisory Panel, Snapper Grouper Advisory Panel, Spiny Lobster Advisory Panel. Two seats are available on the Shrimp Advisory Panel; One is reserved for a representative of a nongovernmental organization. Advisory panel applicants should be individuals engaged in the harvest of managed fish species or knowledgeable and interested in the conservation and management of the fishery. Recreational and commercial fishers, seafood dealers and processors, scientists, representatives of nongovernmental organizations and concerned citizens are encouraged to apply. The council is also seeking applications to represent commercial and recreational interests on its System Management Plan Workgroup. The workgroup will provide recommendations on managed areas in federal waters within the council’s jurisdiction. The workgroup will be responsible for recommending size, configuration and regulations for managed areas. It will also discuss research, outreach, enforcement efforts and comment on research priorities. One commercial seat and one recreational seat are open to Georgia residents. The deadline for panel and workgroup applications is Feb. 8, 2019. The council will select applicants at its March 4-8, 2019, meeting on Jekyll Island, Ga. Successful applicants for the advisory panel seats will serve a three-year term, based on the number of meetings. Panels meet once or twice a year. Members or both panels and the workgroup are compensated for travel and per diem expenses for all meetings. To apply, visit http://safmc.net/about-samfc/advisory-panels or for more information, contact Kim Iverson, SAFMC public information officer, at 843-517-4366 or kim.iverson@safmc.net. Questions about the System Management Plan Workgroup should be directed to Dr. Chip Collier, SAFMC fishery biologist, at chip.collier@safmc.net or toll free 866-SAMFC10.